The weekend in Israel is Friday and Saturday, Saturday is the sabbath, Shabbat which starts at sundown on the Friday night and lasts until sundown Saturday, officially until 3 stars are visible in the sky. Shabbat has its own set of rituals and it is observed that no work is done on the sabbath so everything shuts down. No buses or trains run, most shops and restaurants close and the Jewish people use the day to rest. 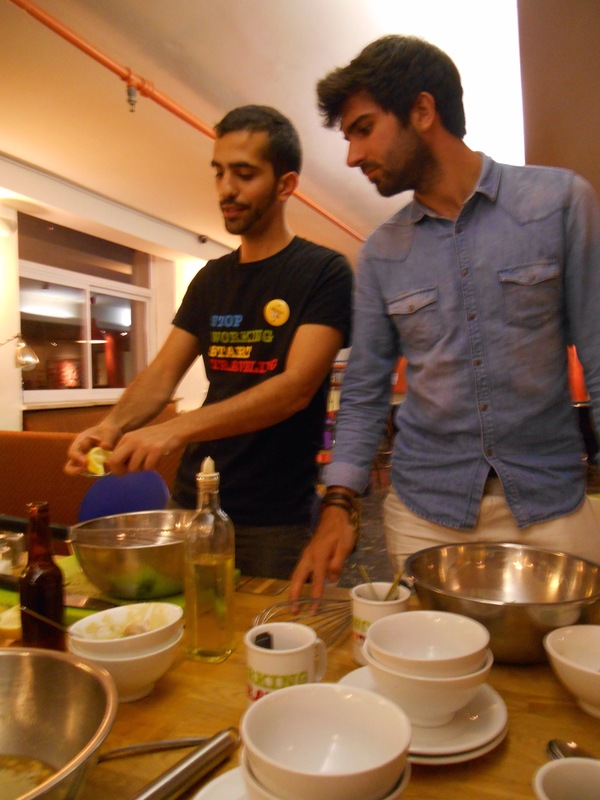 Having just arrived to Jerusalem, a hostel Shabbat dinner was a tempting prospect and I joined the happy helpers to prepare salads en masse. Bonding over chapped tomatoes and salad seasoning, Gin, Marius, Korka and I quickly became friends and when the time came to enjoy the feat we sat together. In order to keep with tradition Shabbat was opened with a prayer and a song to welcome the day of rest. The wine was blessed and shared, followed by the bread, and then we all enjoyed a great meal together. By helping with the meal we had got to know some of the hostel staff and were invited to join them to the rooftop for cheesecake and beers, a great start to enjoying this city. 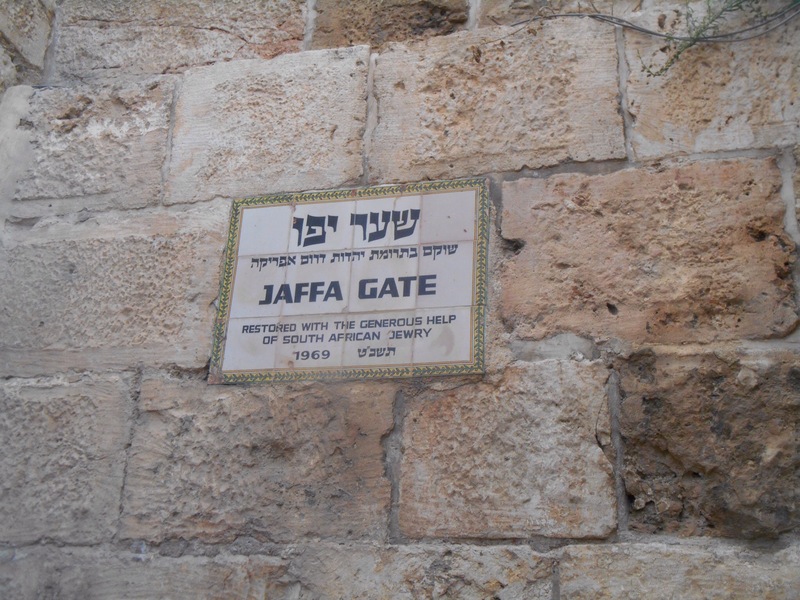 It was scorching the following day as we made for Jaffa gate, entrance to the old city. It is split into 4 quarters, far from equal size. The Armenian quarter is completely closed to outsiders and houses about 3000. The Jewish quarter houses around 7000 and as it was Shabbat was almost completely deserted of workers and trade, a few men sitting in the square playing games. The Muslim quarter houses an incredible 28,000 people. Far from a neatly divided city, it is made of ramshackle alleys and walls, many markets and shops depicting which quarter you are in. 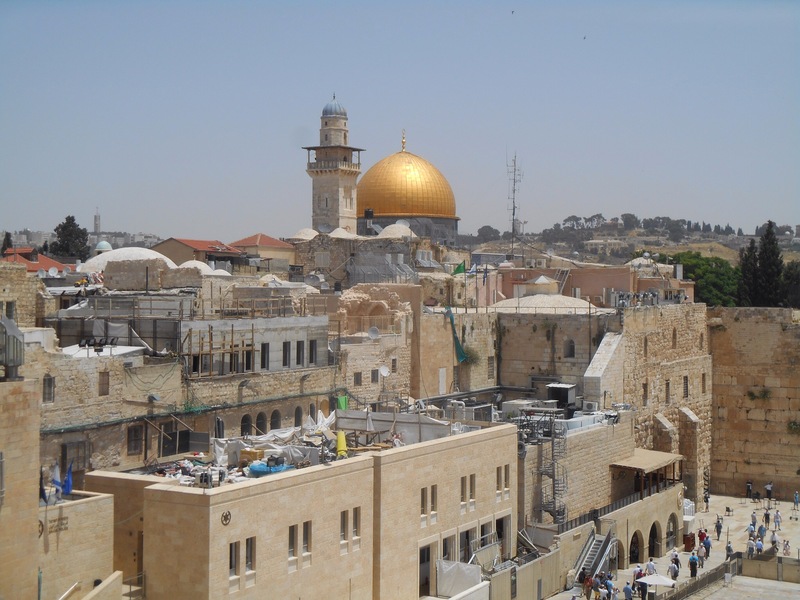 Jerusalem was once under Jordanian control and as such, the Jewish quarter was all but flattened in this period. A lot of the buildings here are new, however this did give them a chance to excavate the old roman cardo, a wide road stretching north to south across the city. What is incredible about this city is that so many people lay claim to such a small area and yet it is relatively peaceful. From a rooftop vantage point one can see the main sites. The dome of the Rock is the most noticeable, a striking golden domed mosque where Muslims believe Mohammed ascended to negotiate with Allah. The story goes that Allah believed Muslims should pray 50 times a day, Mohammed was bartering for 1. Muslims pray 5 times a day, the moral, he’s better than me at haggling! 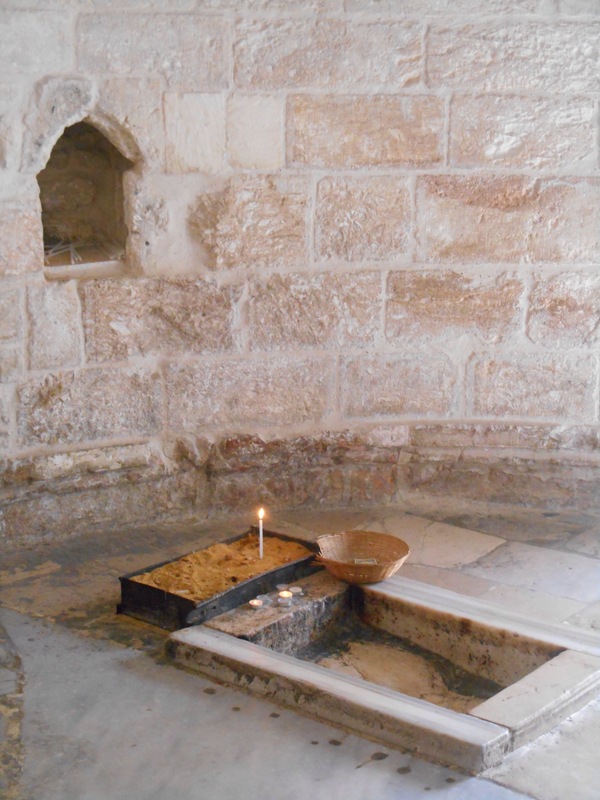 This same site is significant for the Jews and Christians because it is here that Abraham was called to sacrifice his son. For Jews also, this is the site of the most holy place they can pray, at the foot of the destroyed second temple connecting them to the most holy place, the mount beyond. At 12 pm the bells begun ringing, first from the Armenian churches, the synagogue, followed by the churches and shortly after, a call to prayer from the mosque. This incredible concentration of different faiths and backgrounds. 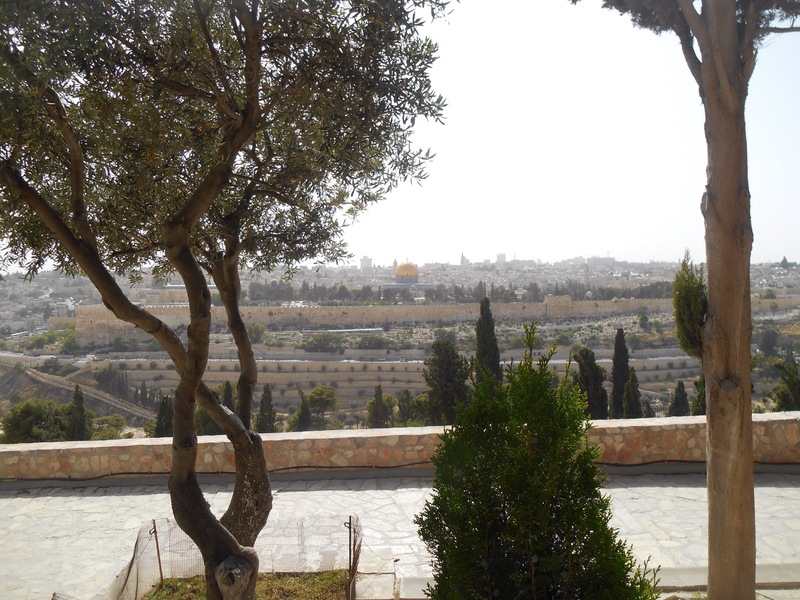 We found aircon for a lunch stop, an escape from the stifling heat, but then fearing how much there was to see in Jerusalem we resisted retreating for an afternoon nap and Gin, Daniel, Marius and I decided to explore the Mount of Olives. This mountain overlooks the city, a valley dividing them. This again is incredibly holy for different reasons, depending on who you talk to. 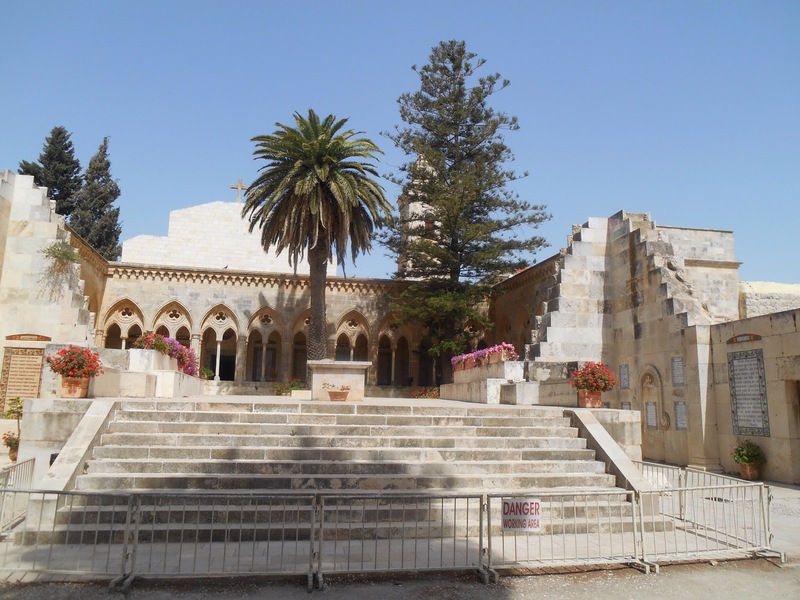 Firstly, the church of the ascension, where Jesus rose to heaven after he was raised from the dead. A church is now built over the spot where it is said you can see the imprint of his foot on the stone. This mount is also where Jesus was when he was betrayed by Judas and captured by the Romans, also where he rode from on a donkey into the city, through the double breasted gate to be crucified. 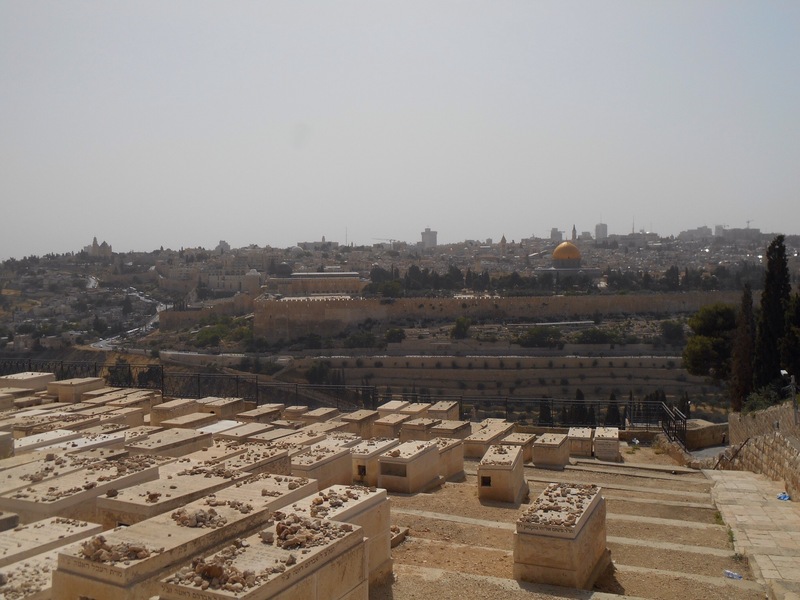 There is a giant graveyard spanning the mountain side where many Jews are buried, believing this is front row seats looking over Jerusalem for when the messiah comes. It is geographically significant, whatever you believe. It is a chalk mountain in an area of limestone. It is set on the biggest fault line in the world with the potential to rip the land in two. 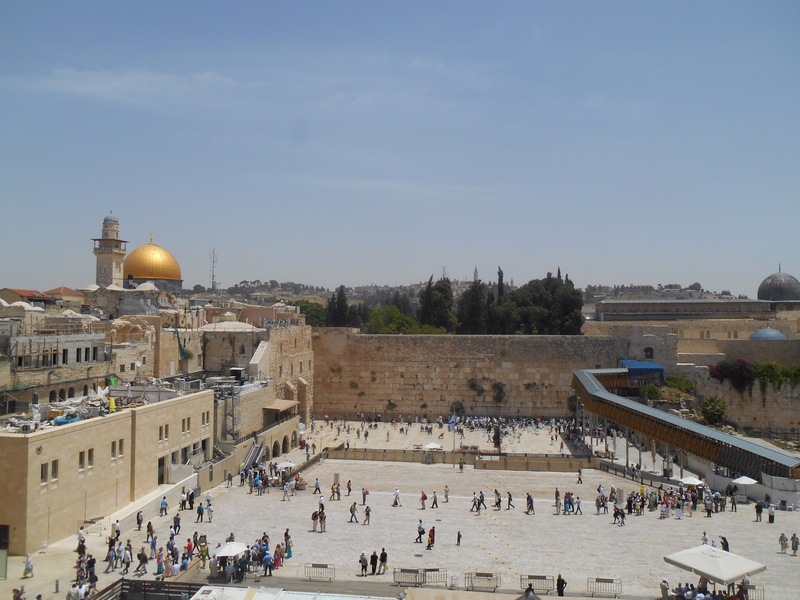 Many faiths see this place involved in prophecy for the future for this very reason. We walked through many of these significant sites, following Gin who had his arm thrust out infront trying to make enough shadow with his tiny umbrella, so the four of us could escape the suns glare. At every stop we crouched against the wall trying to find shade. 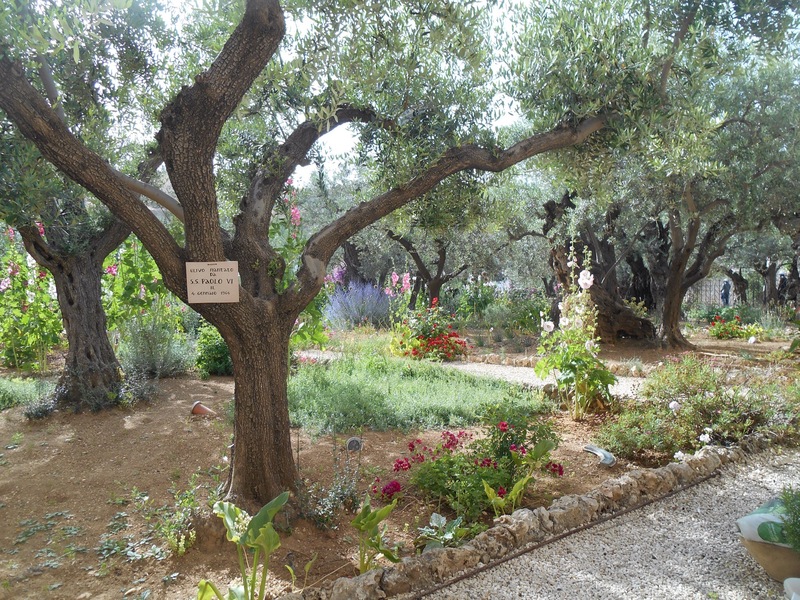 The garden of Gesthemane was a beautiful spot just outside the city walls, the place where Jesus was praying with 3 disciples when Judas betrayed him by kissing his cheeks. 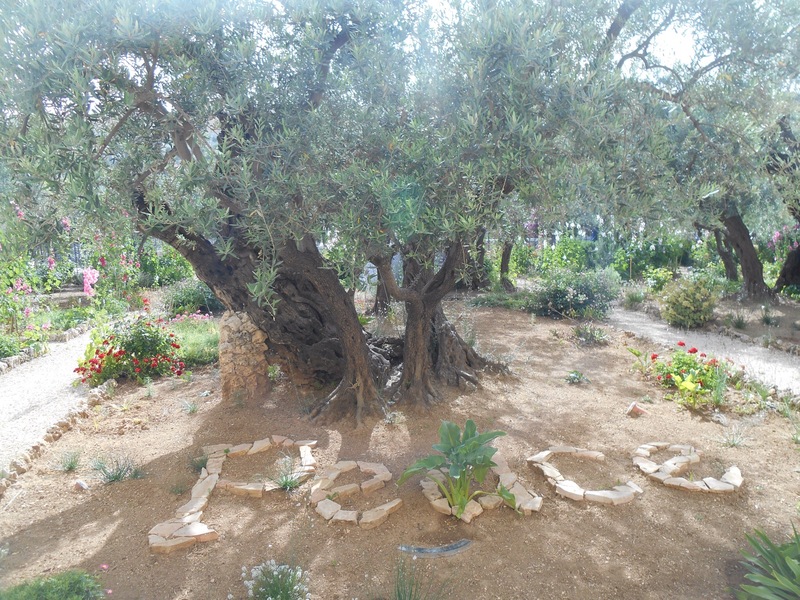 The garden is filled with olive trees, many dating way back and many being added by visiting popes over the years. 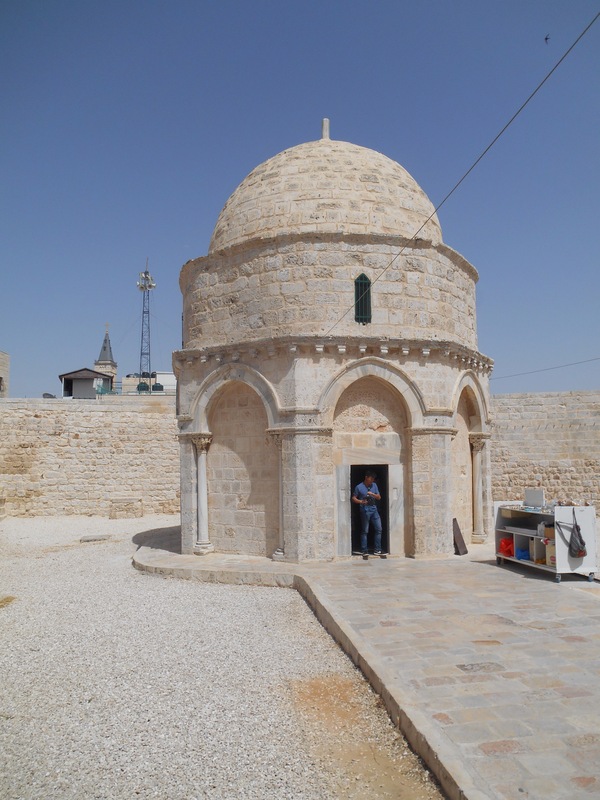 We ended just outside the city walls at the church housing the tomb of Mary. Here the remaining 8 disciples would have waited underground for Jesus to pray on that fateful night, I don’t blame them, it was lovely and cool. 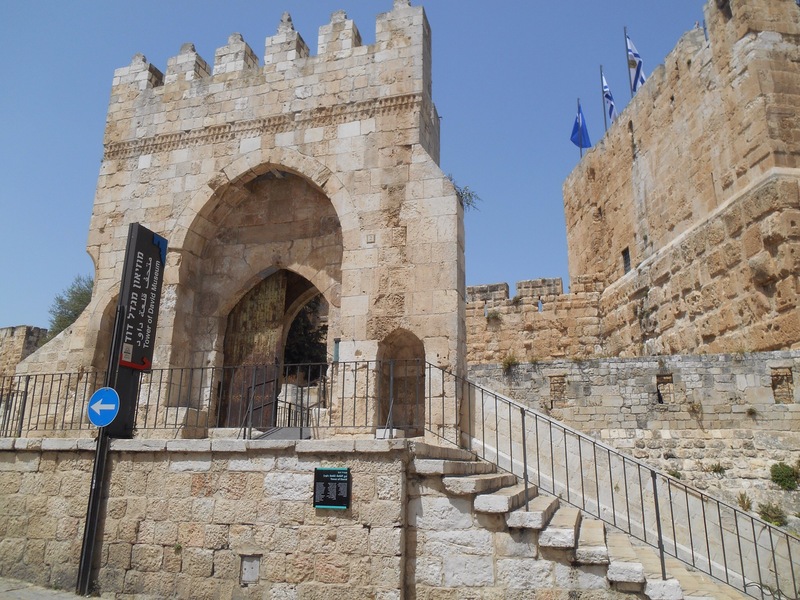 It was a long walk back to the hostel, through the old city and Damascus gate. I made sure to moan extra loud at Marius who refused to let us get a taxi. In the Muslim quarter I saw a taste of just how controversial and complex the current set up in Israel is. A t-shirt displaying a Google search bar with Israel entered in and a drop down box saying “do you mean: Palestine?” With so many complexities at play, it really is a remarkably well functioning city. Back at the bar I was due to check out and journey on south to Arad. One I was showered the next port of call was the bar to rehydrate, naturally with beer. Striking up conversation with the barman, a few beers turned into a few more, half a pizza, some whisky shots, then the local form of torture, Arak. Safe to say, come 10pm, listening to live music on the roof, I wouldn’t be getting the bus. In the punishing heat, feeling less than fresh, Israel’s answer is the corner shops where fresh fruits and veggies are blitzed into refreshment. Deciding to attempt the bus round 2 at 4pm, I had time to visit one other important site in Jerusalem, Yad Vashem. This giant holocaust memorial centre honours and remembers those who lost their lives and it seems is always busy, not just with locals, tourists, but also army who visit in hoards to learn and pay respect. It is always harrowing to remember such a dark chapter of history however familiar we become with the facts, however this museum is particularly eye opening for the section little discussed. 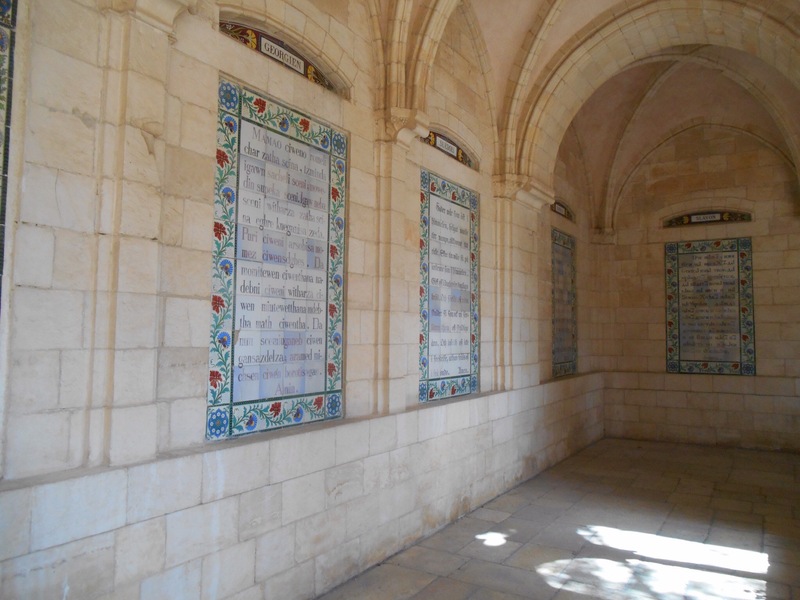 The Jews who survived or were liberated were hardly flooded with options post World War One. In fact they were banded about and rejected from many places setting sail from Europe for America, before being sent back to Europe. The scattered Jews fought for a homeland which eventually led to the fight for a state, realised in 1948. This often unspoken chapter is eye opening and harrowing as well, far from the normal discussion of post wartime. Outside, a seperate memorial remembers the 1.2 million children who died. In a dark room, lights and mirrors recreate stars to show the volume of those lost. Rachel and I opted to visit the colourful market streets for some food feeling me up to catch the bus. However once at the hostel I was combatted with another lapse of procrastination. A long journey in the heat lost out to a cold shower and the rooftop with the friends that made this place so fun. 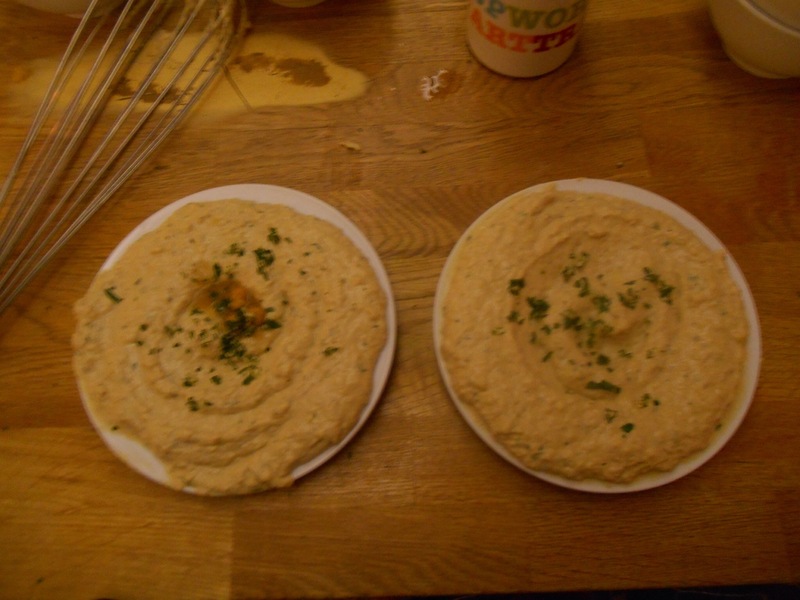 In the evening I joined a hummus making class. 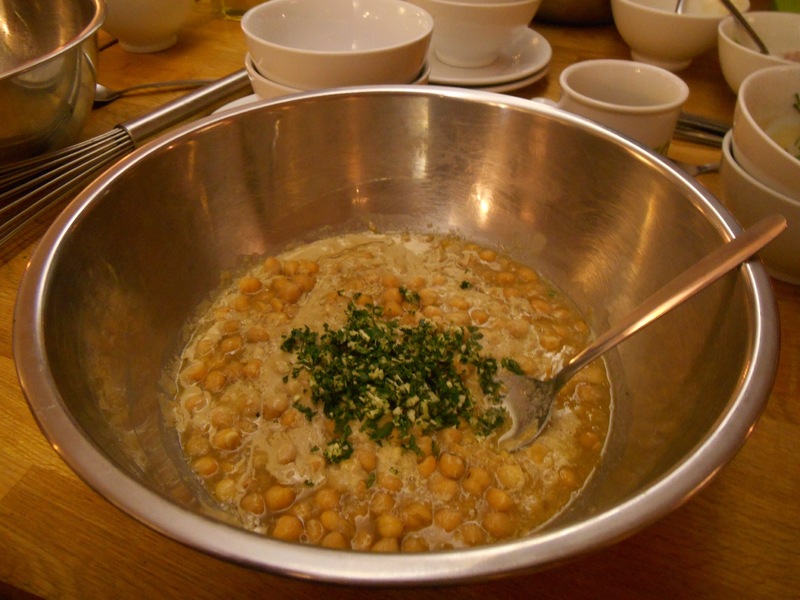 Commonly eaten with pita and Israeli salad, it was great to learn how to make this filling meal. Of course, the recipe is strictly secret, but I can tell you my Parisian friend was very impressed with my results, and it’s not often the French compliment the English on their food! Bleary eyed and excited we set off early the next day to the Judean desert. This meant leaving Jerusalem through a long tunnel which thrust us out into countryside, much browner and less populated than before. The driver called it the time tunnel, as if travelling back in time. Jerusalem is 800 metres above sea level and the Dead Sea is at 423 metres below, the lowest point on earth, it was a long downhill journey. We passed some fig plantations sprouting green out of the dry looking earth. Our driver used to be an ultra Orthodox Jew, leaving the religion 5 years ago which he described as entering a whole new world with lots of unwritten rules he had to relearn. He has the mannerisms and gentle humour of Willy Wonka and kept us entertained with facts and stories, interspersed with a carefully placed song, the first by an Israeli artist and named, in the morning. We headed through the West Bank, Palestinian territory. As part of a very complicated relationship we were told about the different ratings of territories to try and ease relations. In 1948 the UN sanctioned Israel to become a state, drawing out the country to what is now called the green line. In 1967 the 6 days war saw Israel take control of other areas including the West Bank which is the West Bank of the Jordan river, (it actually sits in the east of Israel.) The Palestinian areas are now categorised into A, B and C. A areas are under Palestinian leadership and Israelis are not allowed in. C is under Israeli leadership and both groups are allowed in, B is shared. We were passing through a C zone, not a main city, however we did pass manned checkpoints to leave and enter the West Bank. 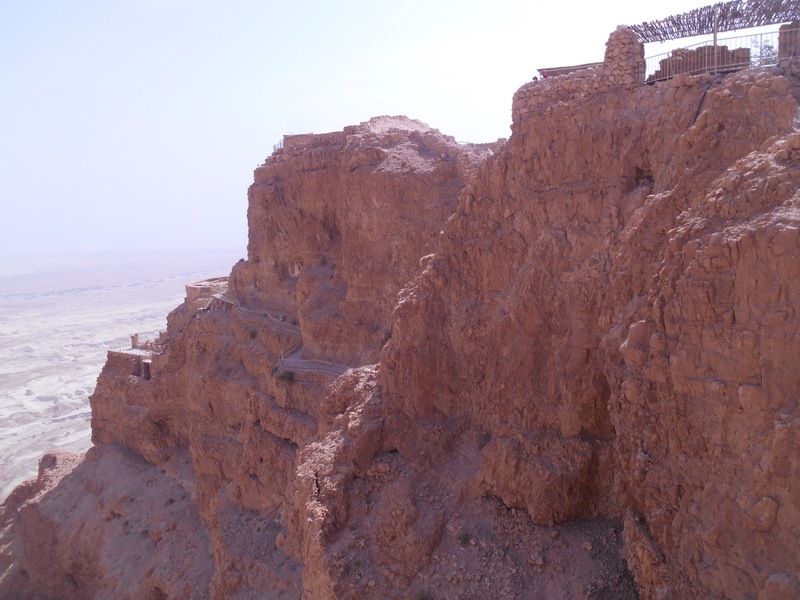 Masada was our first stop, meaning fortress in Hebrew. 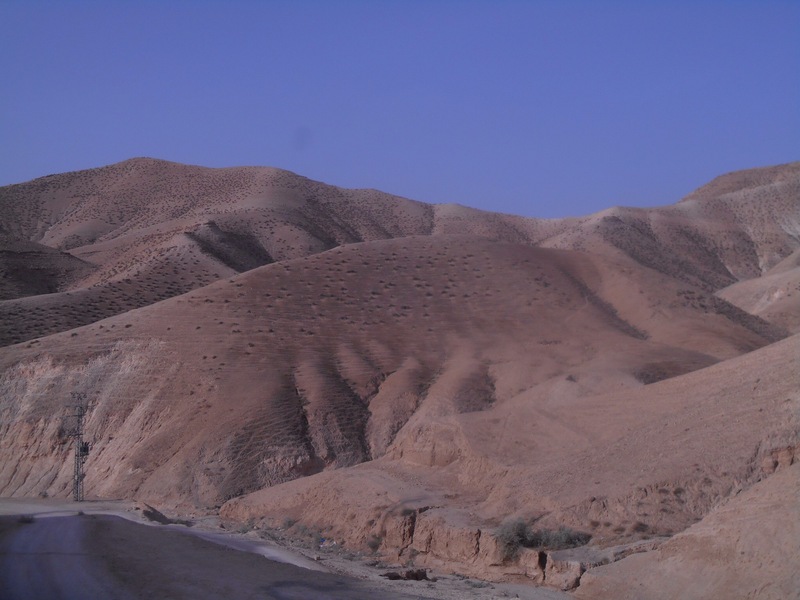 It is a large hill in the middle of an alien looking landscape, and first built upon by King Herod. Later it was the site of the last stand of Jews fleeing the Romans after they ransacked Jerusalem. The Jews were held in siege on top of the mountain by Romans living below and after several attempts to get them, they built a ramp up. The Jews, seeing their last desperate attempts fail, committed a mass assisted suicide rather than being taken by the Romans, so the Romans arrived to discover dismay and death. 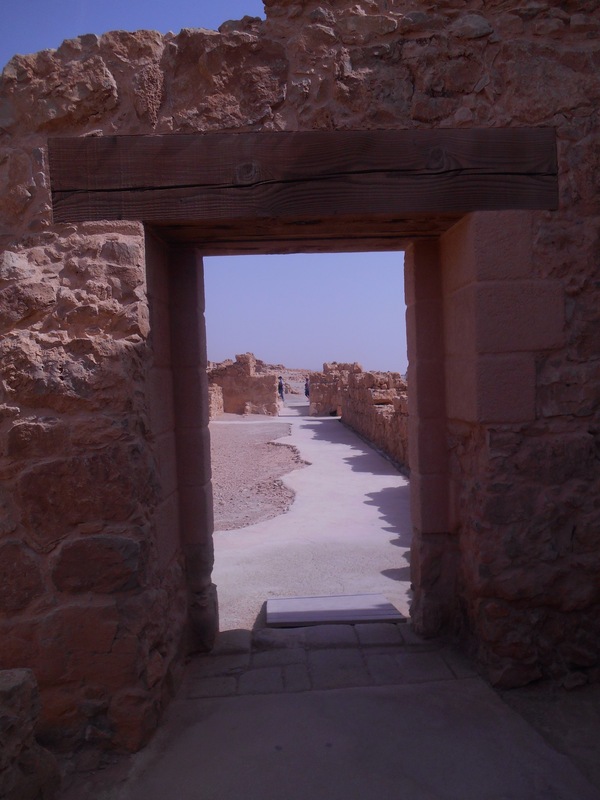 The site was later used during the Byzantine period in the 8th century by monks. We took a cable car up the mountain. In the stifling heat of 8:30am, it was already over 40 degrees and any ideas of hiking to the top up the snake path were shut down fast. 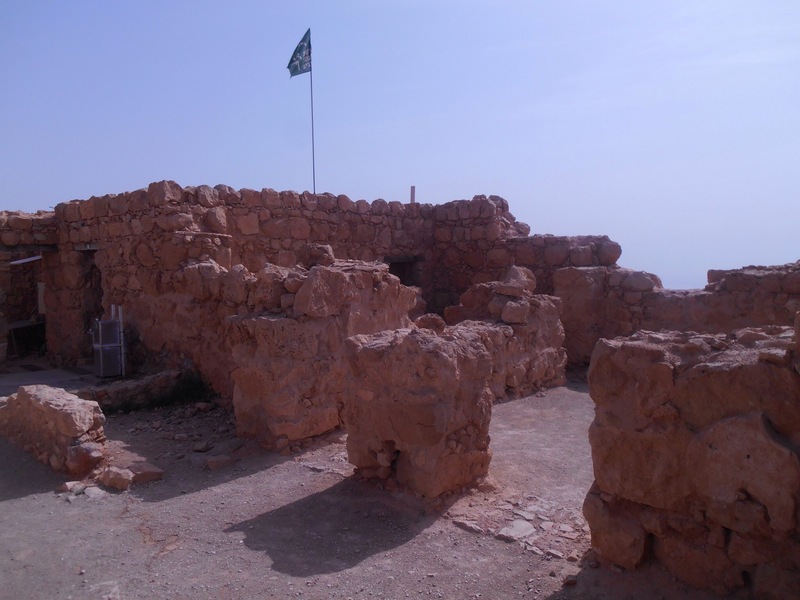 On top of an exposed mountain looking out over Dead Sea, desert and strange land formations, we explored the ruins of a lavish castle come settlement. 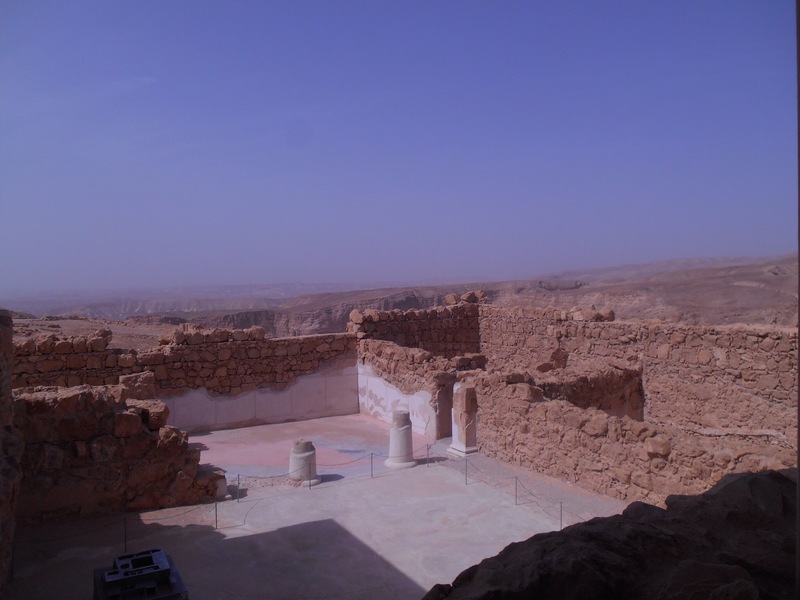 In Herod’s time this would have comprised of several palaces, cisterns pumping water to fill his swimming pool and many bath houses, as well as 29 storerooms for wine, fresh fruit and produce. 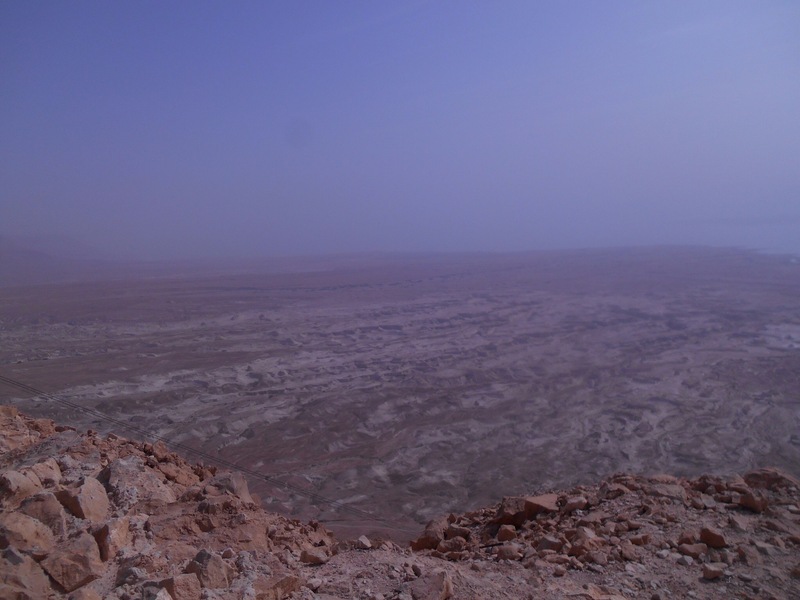 It was an incredible view in every direction, the Dead Sea covered by a haze built up by the height in the valley not far off, the Jordanian mountains beyond. With sweat running off I walked between palace walls exploring the remains of entertaining rooms, later converted to settlements for the Jewish seized families. There was also evidence of the Byzantine use with well preserved mosaics in the chapel. 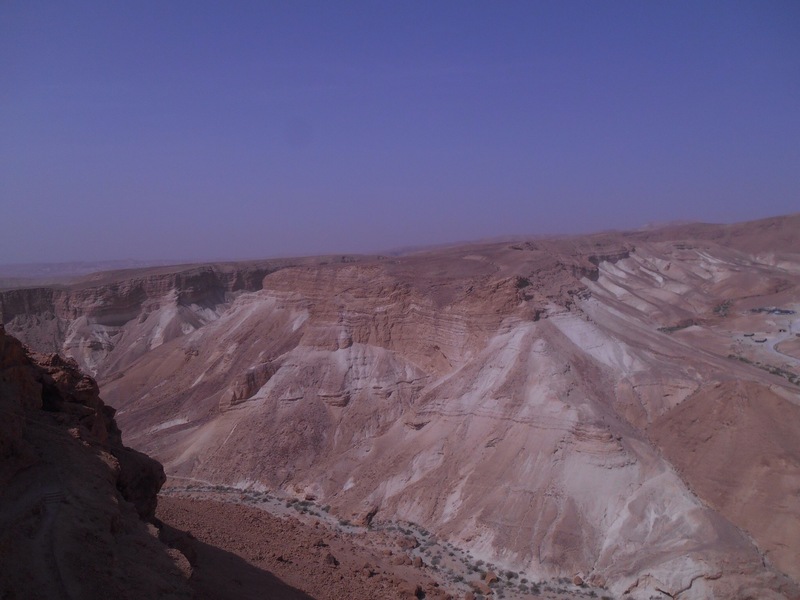 The vast site took a few hours to explore, by which time we met the bus at the bottom of the cable car and headed for En Gedi. En Gedi is an oasis in the desert, this whole area referenced several times in the bible really rooting the story into a historical context. 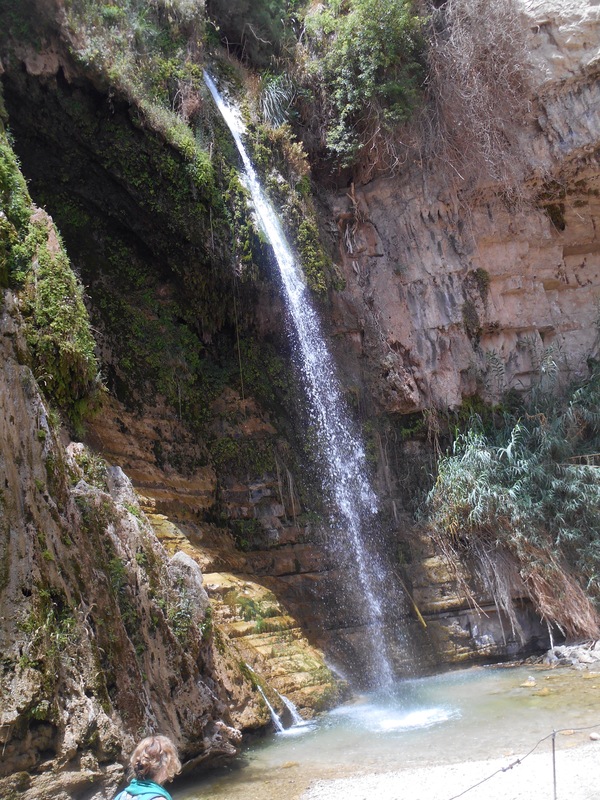 At En Gedi, amongst arid, stifling desert, Palm trees gave way to a series of waterfalls. At the first waterfall it took now time at all to launch myself under the powerful water stream and rescue from the powerful heat. Still in the short walk to the next pool it was time to dry off again. At the very top was King David’s falls, a beautiful deluge of waterfall running off the hills. On our walk back to the bus, refreshed by this unique Spring we saw a Syrian rock hyrax, much like a large rabbit, boldly eating at the side of the path. We drove along the coast of the Dead Sea, Alon the driver insisting we all sing along to Savage Garden’s lyrics “I wanna stand with you on a mountain, I wanna lay with you in the sea…” To the side the remarkable changes to the Dead Sea were evident. The En Gedi spa, built on the water is now a remarkable 900 metres from the water, a retraction which has taken place over 25 years. The water level has dropped 30 metres in this time, around 70 cm per year. The body of water which was one is now two parts, completely dry in the middle, the lower part sustained unnaturally by water being pumped to it. By the side of the water, sink holes are opening up. Alon explained that this is because the springs of natural water running in from Israel will stop before the water and should never meet the Dead Sea, however with the water retracting, the springs have ventured further, meeting the salty crust of the earth and dissolving the minerals and salt, causing it to cave in. This dramatic and fast change has hit beaches and even the main highway in the last few years. What is causing this change? Less rainfall is a factor as well as less water in the Jordan river which feeds the Dead Sea due to a dam on the Jordan River to stop the emptying of the Sea of Galilee, an important water source which is also being affected. Of course there is also the impact of industry and factories operating on the south part of the Dead Sea and evaporating water to extract the minerals and phosphorites for sale. The Dead Sea is an amazing one off. At 33% salt it is so named because nothing can live there, however it is full of minerals and nutrient rich muds. We were now the lowest people on earth at the lowest point on earth, by the lowest cafe on earth, you get the point. The display was showing 47 degrees so we practically ran for the waters edge to then walk across the slimy, muddy bottom looking like toddlers learning to walk, to avoid sliding over. Once in the water, the fun began, bobbing on top of the waters surface like a rubber duck, pushed up by the excessive salt content. If you tried to force your hands or body down, you often flipped over, almost completely out of control. Once the sensation of lying on your back wore on, it was fun to float standing, not touching the bottom but floating at chest level. I found that if you began to bounce, you were being forced up as if on a trampoline. This fun was how I got water in my eye. You don’t want 33% salt water in your eye. It burns. You also don’t want it in you’re mouth, it’s bitter. Then came the fun of covering yourself in mud, grabbing squelchy handfuls from underfoot was disconcerting at first, but smothering yourself in it was oddly satisfying, as was making childlike squelching noises, or throwing it at your friends. Again, another way to get it in you’re eyes. Or lose friends. Too soon it was time to return to Jerusalem and take one of the many showers it is necessary to take in the intense heat. Then, as every night, we met on the rooftop to enjoy one of Israel’s finest beers, my favourite- the gold star. 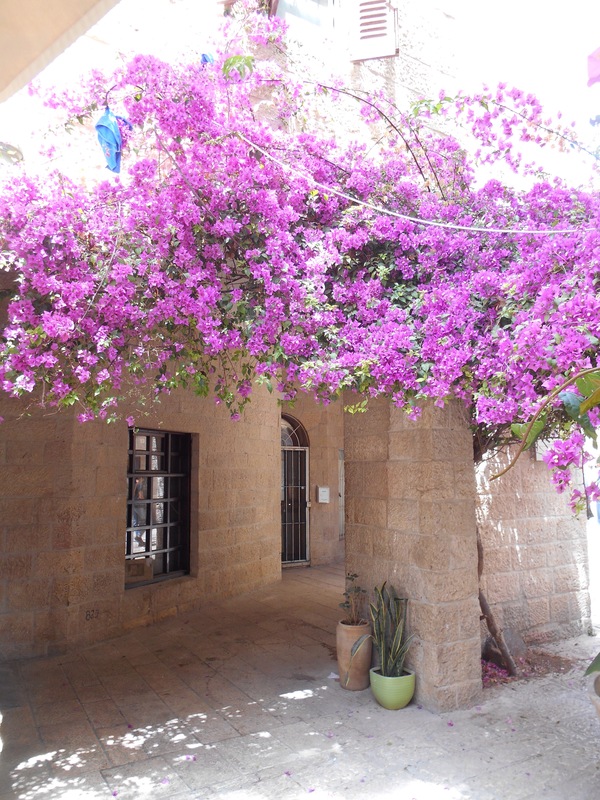 As everyone finished their different daytime adventures they would join and share stories, either of the amazing natural wonders, the difficult political encounters of the west bank, or eclectic experiences in the old city. Mum was on her way to share the last chunk of her trip with me, and shortly after 7pm she arrived. After a quick hello she was keen to orientate herself to the city she had visited the year before and we went up Jaffa Road to the markets to walk between fresh figs and fruit, bread and cakes, whilst watching the daytime bustle transform into the night time hubbub. 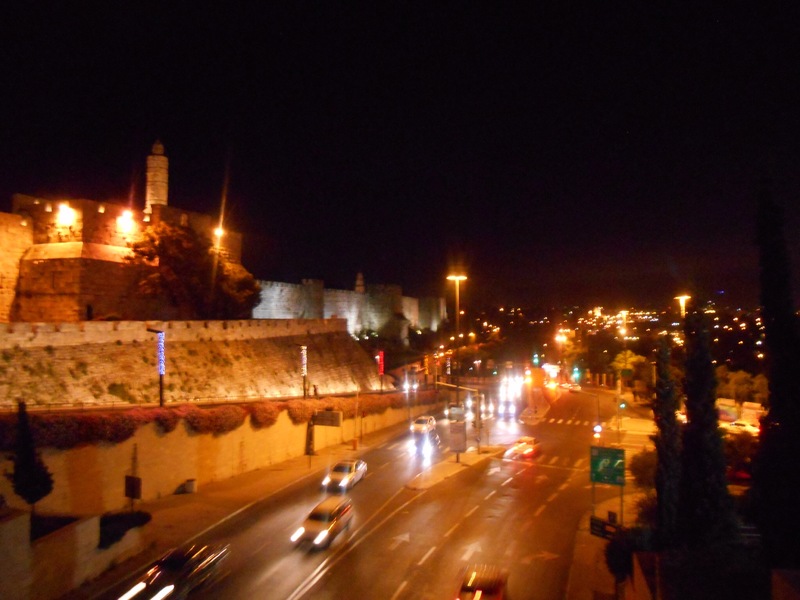 We then strolled down Jaffa Road all the way to the old city walls, much preferring the pleasant warmth of the evening air. In this she showed me a much more up market side to Jerusalem, the designer shops and twinkling lights. After a coffee, it was nice to stroll back to the hotel and once again sit out on the rooftop.